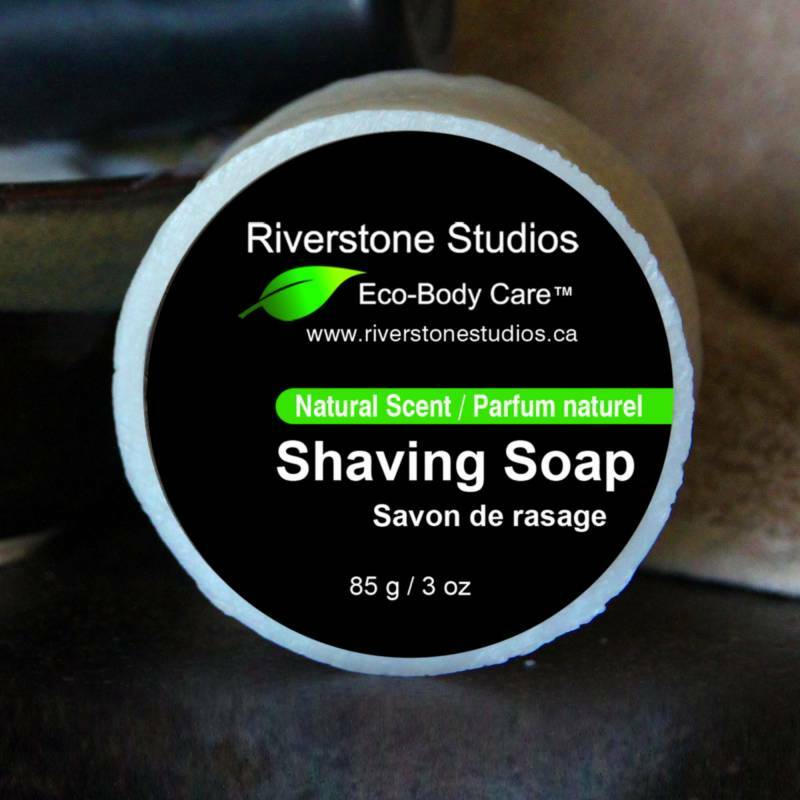 Riverstone Natural's Shaving Soap gives a clean shave with lots of lather! Made with Olive, Coconut, and Palm Oils, it is gentle on the most sensitive skin and moisturizes while you shave. 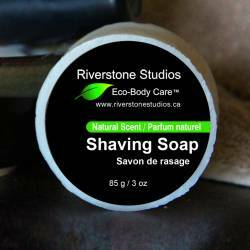 Perfect for all skin types, Shaving Soap is fragrance-free, scent-free, and chemical-free leaving you with soft, smooth skin without irritation. Perfect for men and women. * As a shampoo: wet hair, lather in, massage gently, rinse well. Condition as needed. * As a shave soap: wet area to be shaved. Build a lather by rubbing soap between wet hands or by using a shaving cup and wet bush. Apply lather to the area and shave as desired. Rinse well. * Store in soap dish away from water. * Travels well in a container or clear sealed bag. * Shelf life: one year after purchase.